Insects must bee his thing lately, because Takamichi Irie has built several larger insects recently. This crazy-cool flying mantis is the latest addition, and a great one indeed. I must say, there is quite the buzz around this MOC. The wings are a definite highlight, and catch light beautifully with all the translucent colors used. 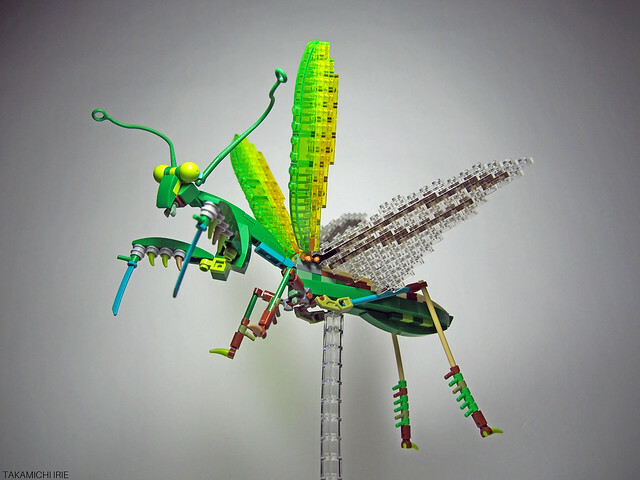 What an awesome LEGO insect! This would be something very cool to hang from a wall.